For single travellers (Rollaway Beds not available for this option). Stay 7 Pay 6 prices are for 2 people. Additional charges apply for more guests. 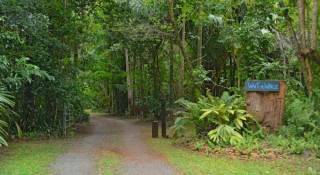 4 self-contained timber cabins located centrally in the Cape Tribulation section of Daintree National Park at beautiful Cow Bay. Close to all places of interest that the region has to offer. Quiet, peaceful, clean and comfortable. 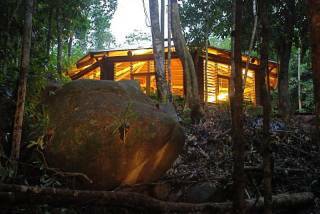 Four timber cabins with private ensuite bathrooms and kitchenettes, two with verandahs, and two without (first come first serve policy for verandah rooms). Set apart from each other in tropical fruit orchard. Simple, no frills, bugproof, clean and comfortable with 24hr silent solar power. Undercover barbecue area. 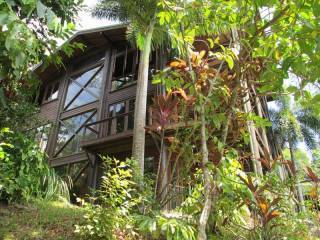 Close to great beach and swimming holes. Central to all places of interest. Please note that children under 12 yrs of age are not permitted. 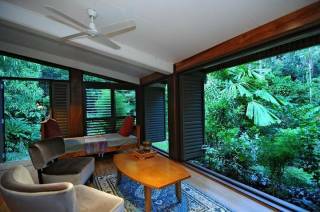 Please note children under the age of 12 are not permitted at Daintree Rainforest Bungalows. A non-refundable deposit of one nights accommodation per cabin booked is required and balance of payment will be deducted 28 days prior to arrival date. 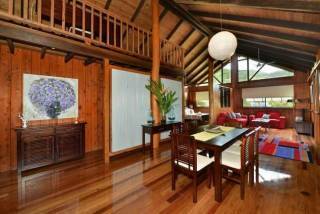 Any cancellation after booking has been accepted will incur a minimum cost of 1 nights accommodation. Cancellation between 28 days and 7 days prior to arrival date will incur a charge of 50%. Cancellation less than 7 days prior to arrival date will be charged the full amount. Cancellations are to be made in writing and emailed. Please note cancellation times are taken from 2pm EST on booking arrival date. Travel insurance is recommended to counter any unforeseen reasons for cancellation. Please note checkin times are strictly between 2pm and 7pm on arrival date unless prior arrangements are made and accepted at time of booking.